Manufacture K?hnel - Germany. 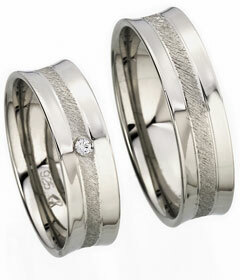 Elegant Wedding rings in 925 sterling silver satin and polished platinum. The platinum plating protects the Sillber from tarnishing. After 2-3 years you should nachplatinieren the wedding rings. 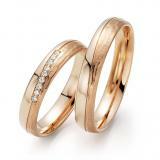 Wedding rings with good wearing comfort and an attractive price. 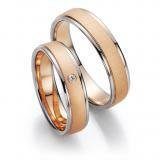 1 Zirconia. Width 6,00 mm.